﻿ What is The Best Place in Delhi NCR to Sell Gold and Silver? What is The Best Place in Delhi NCR to Sell Gold and Silver? Selling Indian jewelry for cash is one of the convenient ways of getting liquidity in short time. But before getting into any deal, you must have an idea that how much do gold buyer’s pay. There are several types of gold buyers present in the resale market who can buy your gold and silver ornaments. You need to know the implications of dealing with all these types of buyers. Jewel smiths: You can sale your used ornaments to jewel smiths but remember they will not ready to accept every type and form. Moreover, they will most probably melt your item to assess its value. This will reduce some amount of metal also. Pawnbrokers: You can also sell to pawnbrokers. They also usually deduct some percentage from the item value to accept it. Gold dealers: You can also sell your item to the organizations who are exclusively engaged in buying precious metals from their clients. They buy exclusively in return of cash. We are one of the well-known companies engaged in buying jewelry for cash. We do accept silver, platinum, and diamonds. The best fact about dealing with us is that we accept all forms and kinds of aforesaid metals. Therefore, come to us either if you have a chain, coins, bars, jewelry used, scrap, broken ornaments etc. We offer on spot cash in return of your item. We have online services also. Therefore, no matter where you locate, you can easily get the benefit of our exclusive range of services. The price we offered is the highest possible price. So, you can get premier value from us. Our team of expert professionals is working continuously to provide you the best possible value for your items. 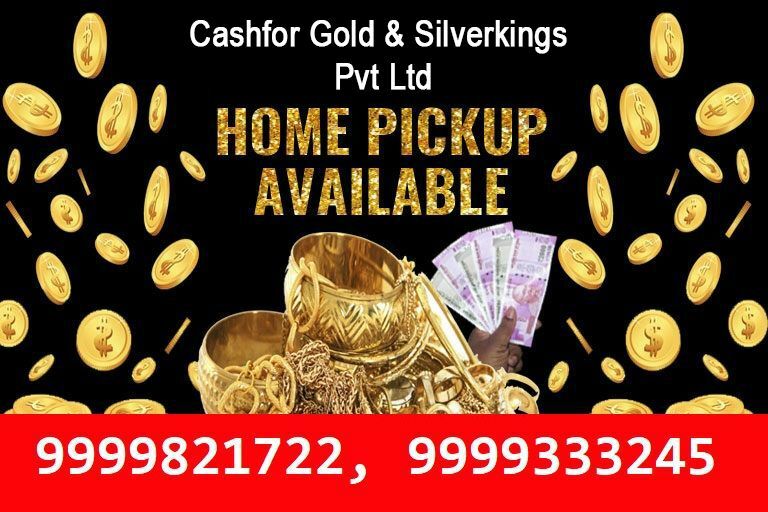 You can deal with us online by visiting our website or contact us at Cash for Silver in Delhi NCR contact number +91-9999821722, 9999333245. You can also visit any of our nearest branches to take any type of assistance required. Do not forget to come with a valid document to prove the statement you may make while selling them. An invoice can sort out the situation really well. We also provide the free home pickup service in Delhi NCR. You can contact us any time to sell your gold and silver because we are available 24/7 for your help.